J.L. 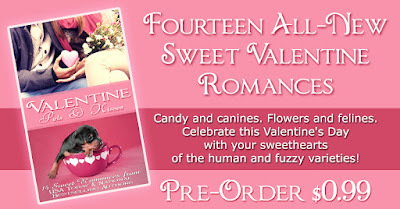 Campbell: Fourteen All-New Sweet Romances! 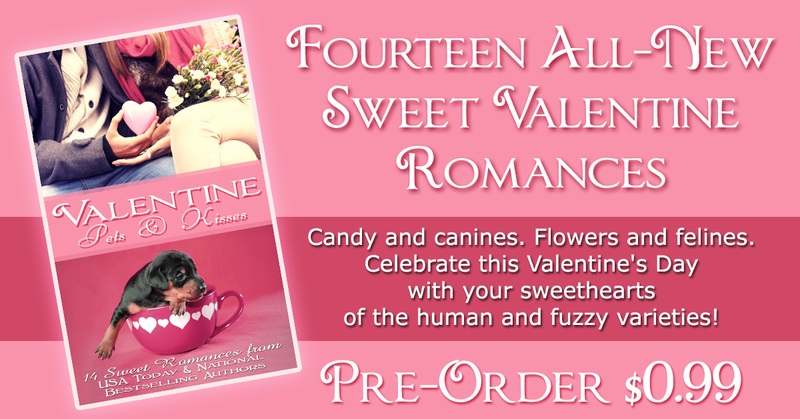 Nothing is more heart-warming than kisses from the pet who adores you and the man who loves you, so snuggle up with VALENTINE PETS & KISSES —ananthology of fourteen sweet romances from USA Today bestselling and award-winning authors — and strike the perfect mood for moonlit walks and candlelight dinners with your pet and sweetheart. Laura and Brent really tried to make their marriage work, but in the end, it just wasn't meant to be—or was it? Congrats on your anthology everybody! The month of love is not too far away. That's perfect for Valentine's Day. Congrats on your story. One of those is yours - awesome! Congrats. I have friends who have had great success putting out a box set with other authors. Hope the same for you. What a great deal!! I need to get yours too. Congrats on getting more work published, Joy. A cat, a woman, and a postman... love it! You're inspiring, Joy. Congratulations on all your wonderful stories. Great idea to promote them like this.